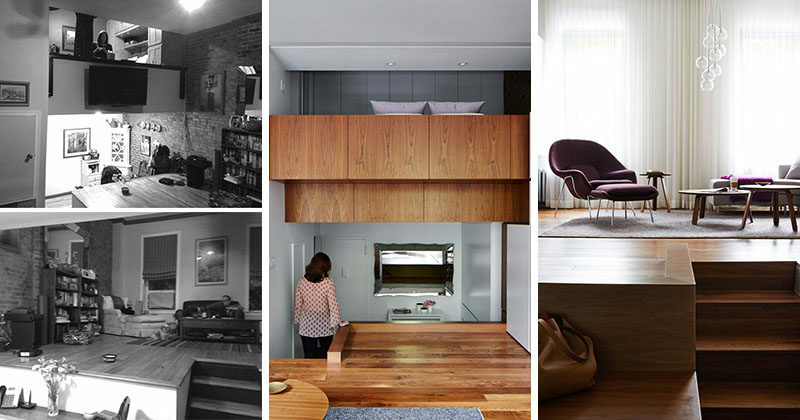 STADTArchitecture have designed the interior renovation of a loft apartment in an apartment building on the Upper West Side of New York City. 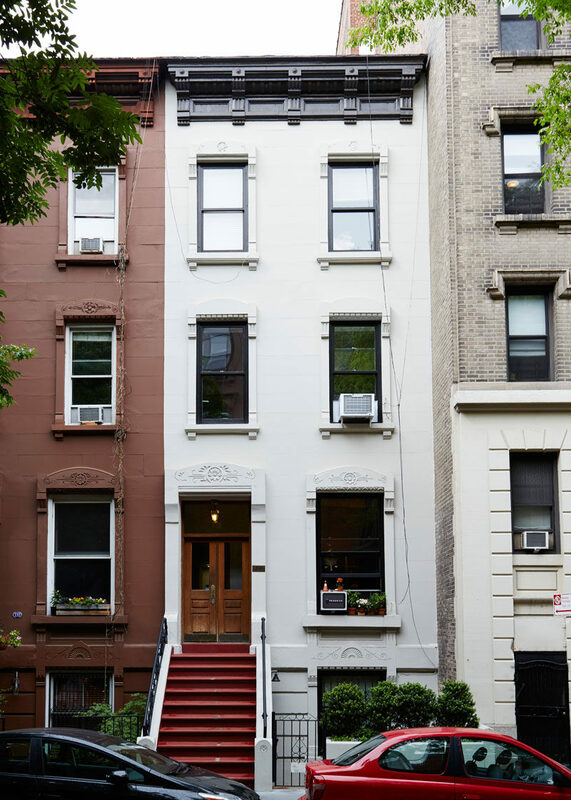 The original apartment dates back to the 1970s and has multiple levels, the entry level and kitchen, the main living level and the bedroom level with a bathroom. 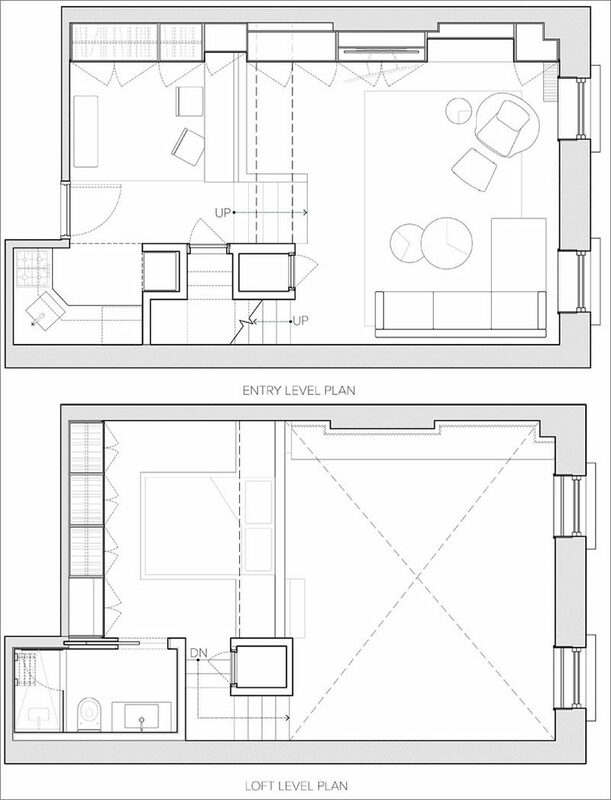 Here’s a look at the entry level and the main living level. The renovation included bright white cabinets featured along one side of the main living level, a new built-in bar and bespoke walnut flooring. 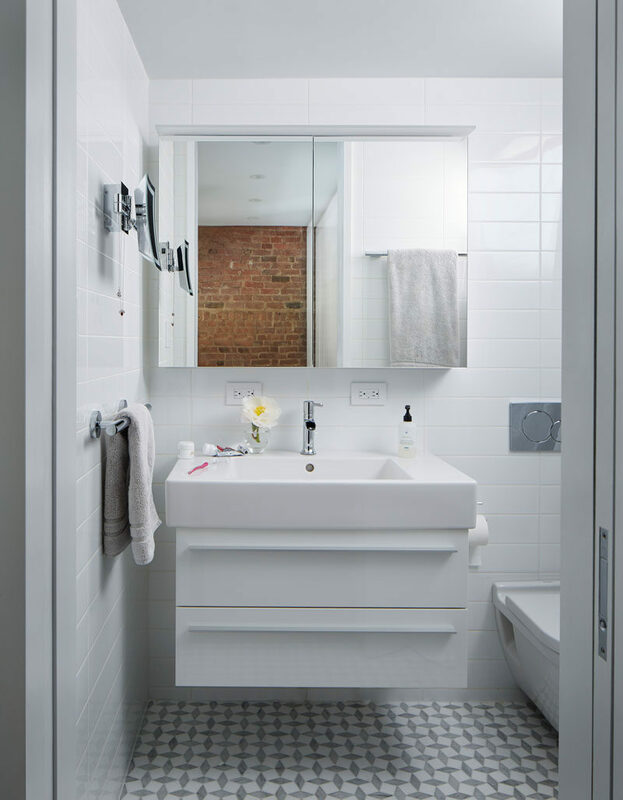 In the main living area, the original brick wall was left untouched and acts as an accent wall, while on the opposite wall, the while cabinets similar to those in the entry level provide much needed storage for the small apartment. 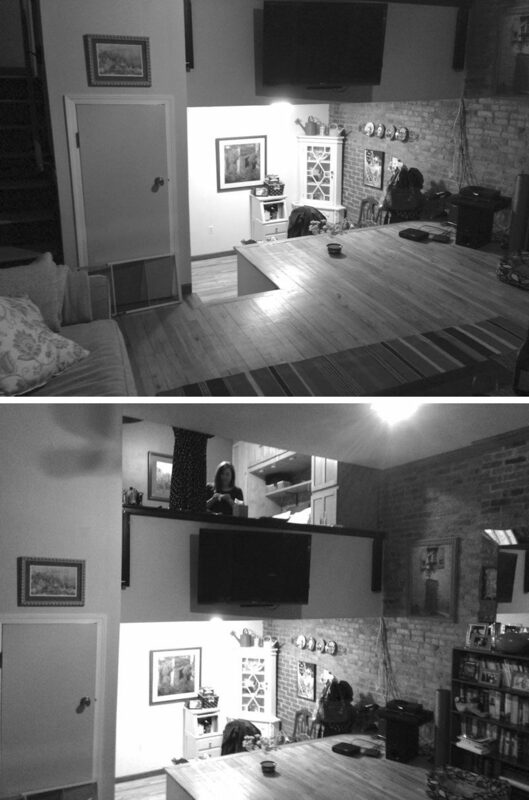 Here’s some before photos that show a different view of the entryway and the loft level located directly above. 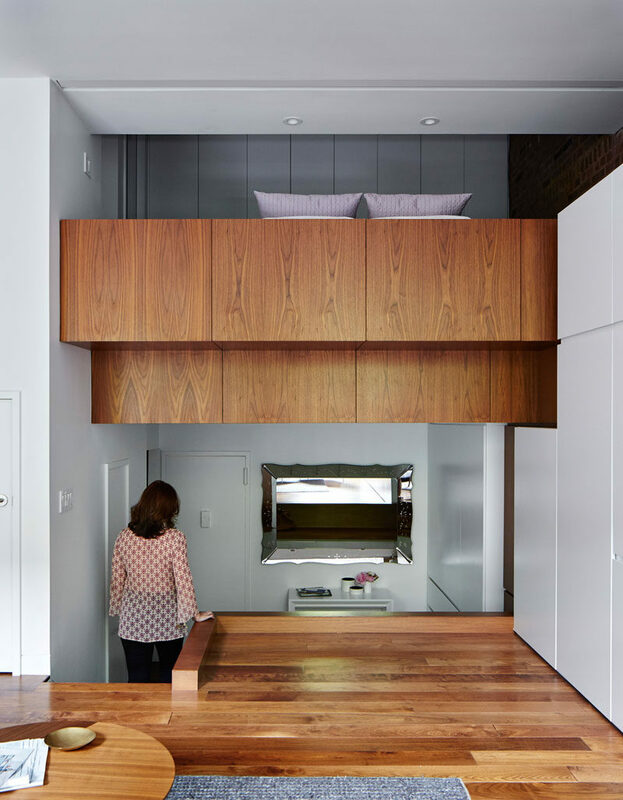 To enlarge the lofted bedroom, the sleeping loft was extended out into the living room and covered in walnut paneling, tying in with the flooring. To maximize the space, the queen bed was rotated 90°, and to increase storage, floor to ceiling white cabinets now line the wall. 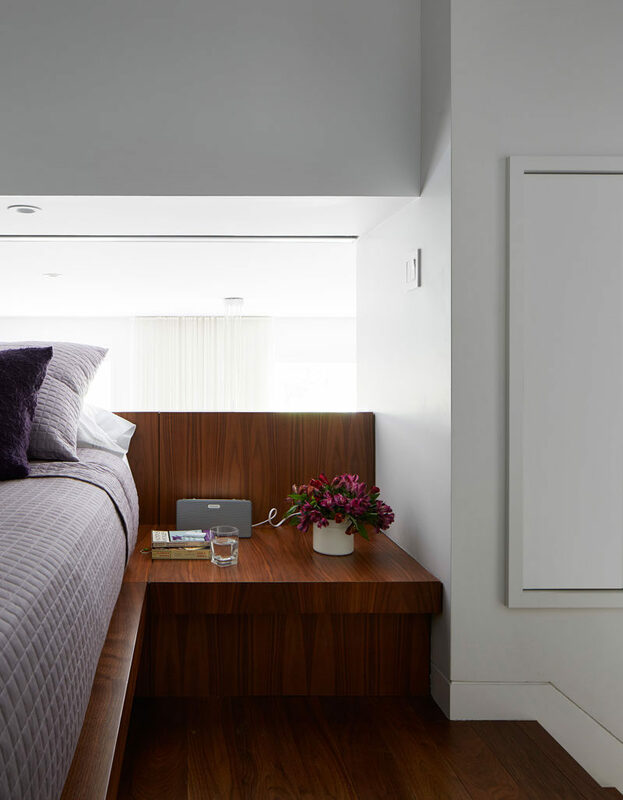 The platform wood bed has built-in side tables and the headboard sits against the guard rail that overlooks the living level below. To make the bathroom slightly larger, the existing stair from the living area to the sleeping loft was removed, and a new landing was constructed, allowing the stair to be closer to the living room and adding 18 inches to the size of the bathroom. Here’s a look at the new floor plan for the loft.